Hello folks, I am going to try and keep a log of current giveaways offered on other blogs that I am aware of. I hope to have some of my own in future. All are Canadian giveaways, a couple are open to US as well and noted in description. If you have any contests to share feel free to add in comments. Good Luck! Today my soon to be 6 year old and I did a bit of Easter Crafting while he was home from school with a cough and sniffles. I decided to organize our craft supplies and create some Easter creations based on what we had. These are pretty common craft staples that you too may have ready to go and if not they are easy to find items that are good to have in stock. To make the basket you will need a: toilet paper roll, sheet card stock, 1 pipe cleaner, 7 medium popcicle sticks, paint/markers/crayons to colour sticks if not coloured, pencil, white glue and scissors. If you are colouring the sticks have your child do so as you prepare the nest few steps. You will then need to cut the tube in half. You will only need one piece for a basket or you can double up on sticks and make two like we did. Trace tube circle onto card stock and cut out for bottom of basket. Glue card stock circle to bottom. Recently I have posted on the blog about out last trip to Disney World. On that trip we had the opted for Park Hopper Plus option which gives you visits to any of the 4 mini golf courses along with 2 water parks, ESPN grounds or golf at Oak Trails. Those are some pretty good options. It is a great option at Disney World when you have enough days that you want to take a few away from the parks and enjoy some of the other great things Disney World has to offer. We were there in Dec and it was good weather but not the crazy Florida hot so we didn't use the water parks but we did take in all 4 mini golf courses with our two off days. This allowed us to use the great pool at our hotel (take a look at our post on the Coronado Springs). For me when I know think of March Break I think Maple Syrup Festivals. It's been a yearly tradition since the kids were born to visit at least one Conservation Area having a Syrup Festival. For me, the Halton Parks are closest and are great when you have the pass like we do but we've also ventured out to explore other festivals to shake it up a bit. There are festivals all over GTA whether you're in the East, West or North of the Six. I know it's cliche but i just can't believe how the years have gone by and that my eldest son is now 11! I'm not sure how many more themed parties I have left for him but since we kept it a bit lower key last year and the fact he's never done paintball, we opted to give it a go. It was an easier decision. since we found a great place that does indoor paintball and at with low impact guns for the age group. I am very honoured and pleased to be nominated for the Versatile Blogger Award today by Heather at Mama Be Frugal. Heather is a Mother of 2 boys and like me loves great deals and freebies! 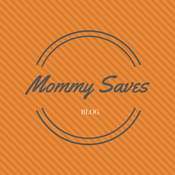 She's always sharing ways to save, earn some rewards or get some free goodies on her blog. For me, I am quickly approaching the 1st year anniversary of my Blog. I've learnt a lot this year but I've still got leaps and hurdles to go. I have built up my social media slowly and still an on going process and even though I'm sometimes lacking in motivation I'm glad for the interactive followers I do have acquired to help me stay in the game. I am pleased to be nominating them as well since there are so many great bloggers out there that want to share with you! A Versatile Blogger is a blogger who is considered to have quality writing, a unique subject or subjects, and quality photographs along with a level of love displayed within their blog. If you have been following my posts you will know that we recently traveled to Disney World in Dec 2018. This was our second trip there and we had such a great visit! We loved it the first time we went but this time it was just that much better. The kids were a great age, we had a better idea of what to do and how to get it done. Both times we visited we went on the Free Dining Plan which if you're interested is a great deal but was offered early this year and no longer available for 2019. Typically they tend to offer this in April for stays Sept-Dec, however this year with the Star Wars area they had played it out differently this time. Never fear though, if you're looking to stay in 2019 there is still deals to be had here.